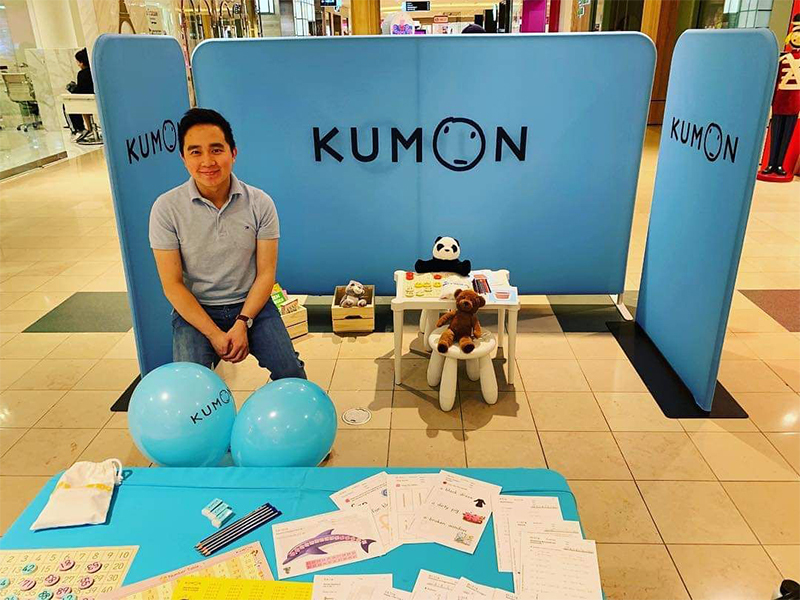 From now until Sunday, Kumon is at Chadstone Shopping Centre! If you’re around and would like to learn more about Kumon, please come and say hello. 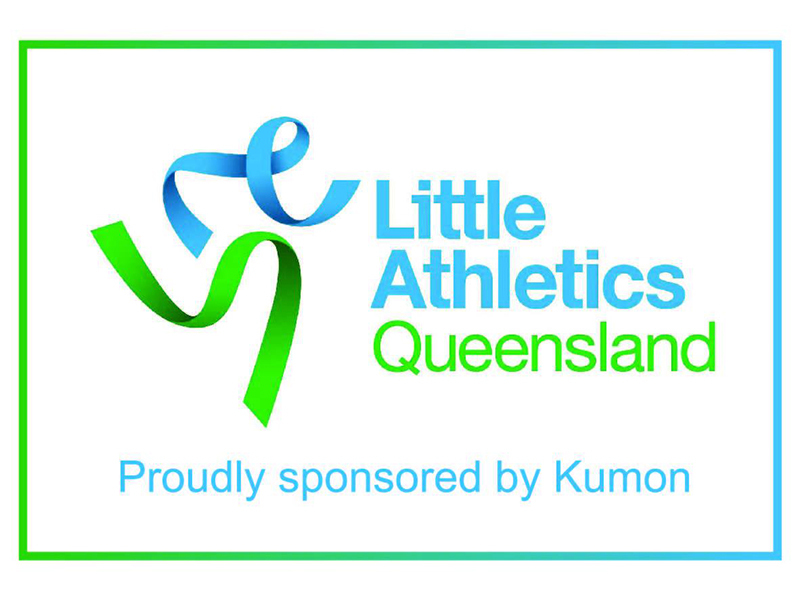 Kumon is proud to be sponsor of Little Athletics Queensland for 2019! Both organisations share a vision for children to strive to be their best in what they choose to do. We look forward to supporting LAQ throughout the year ahead. 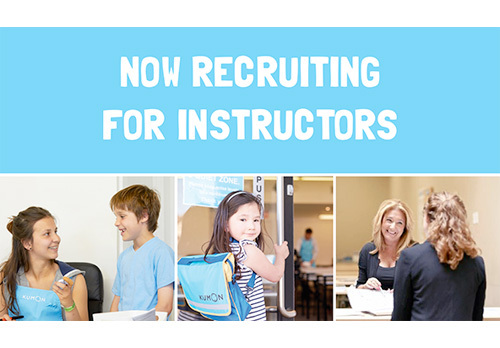 Have you ever wondered what is involved in becoming a Kumon Instructor? We look forward to meeting with you, and to sharing information about our global network of educators and our wonderful learning method. 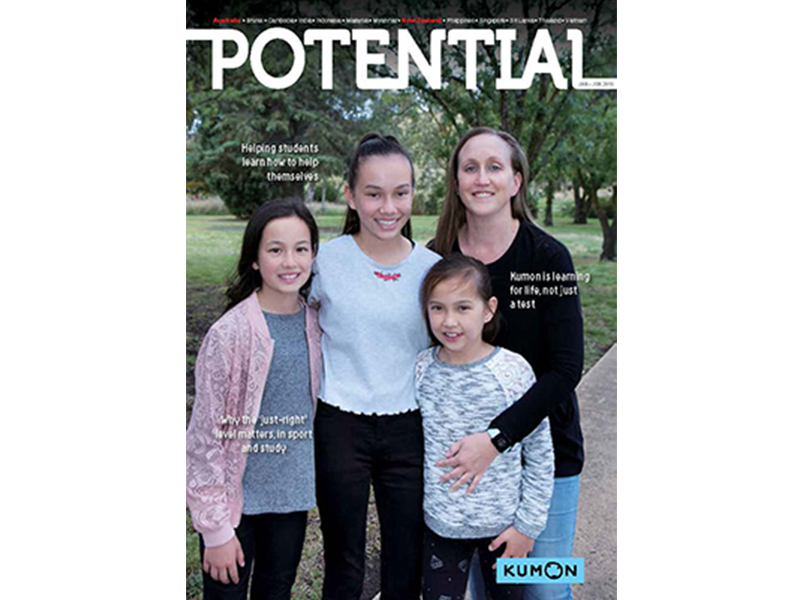 We are pleased to share with you the latest edition of Potential magazine! Growing each individual student’s potential to his or her fullest extent is what Kumon aims to achieve. What accelerates this development is integrating learning into daily life. As such, in this issue of Potential, we would like to show you how to make learning a daily habit, and why. Our opening article shares the story of Christian, a Kumon Maths Completer from Perth. It outlines how he, with the help of his mother Ann, developed his daily study habit that was essential for him to finish Kumon Maths at the age of 15. Christian’s story offers some practical lessons on integrating learning into daily life. Our cover story features three sisters from Melbourne, Maddi, Asha and Taylee. 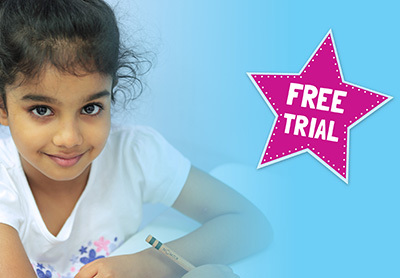 It illustrates how Kumon helped guide them in taking control of their studies and to see the joy in learning. Lastly, our feature article discusses how Kumon aims to produce lifelong learners, not just students who can ace a test. 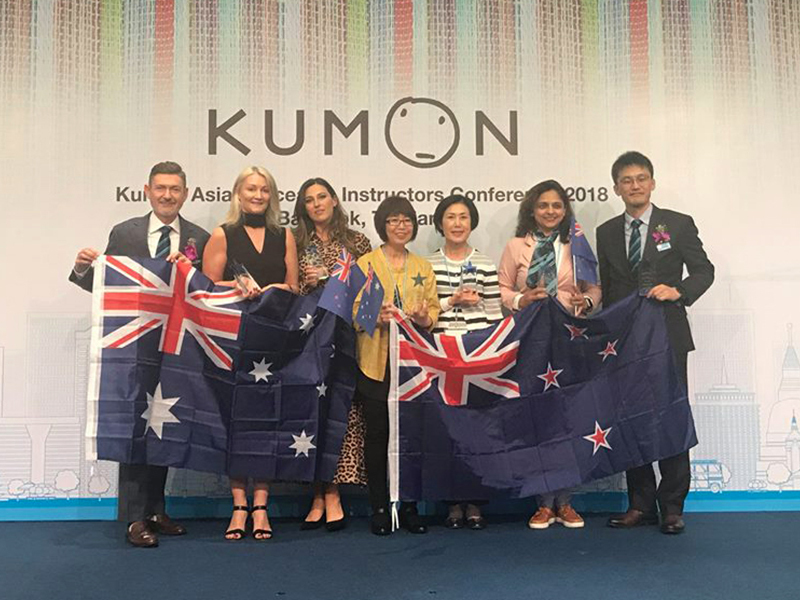 Over the weekend, over 600 Kumon Instructors and staff congregated in Bangkok, Thailand, for the 2018 Kumon Asia & Oceania Conference. This global gathering was to give attendees the opportunity to learn from each other so they can contribute even more to children’s education. It demonstrates that it takes a village to help each child reach their potential. 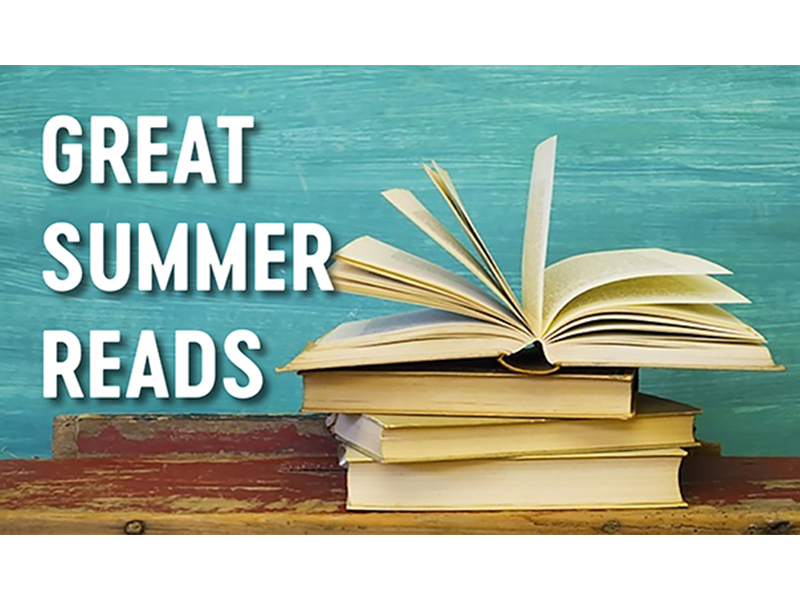 We’re pleased to announce the Kumon Great Summer Reads competition, which will run throughout December and January. This is a fun way for students to keep up with their reading over the summer break, by answering the question, ‘Why is this your favourite book?’, on Facebook. Tag their entry with the hashtag, #kumonreads, and answer the question in their post. A $100 book voucher will be presented to a winner form each region (NSW/ACT, VIC/TAS, SA/NT, QLD, NZ, WA) for a local bookstore, comprising six prizes in total at a cost of $600. We wish all students a great summer of reading! During November, Kumon Australia & New Zealand will be ‘Celebrating tomorrow’s problem solvers’ with its Advanced Student Forums. These events celebrate the achievements of those who completed a Kumon Programme or who have progressed to five years ahead of their school grade level. The forums will encourage students to think about how to use their tenacity to solve problems and achieve great things outside of Kumon. Students will also explore the concept of ‘grit’, defined as “passion and sustained persistence applied toward long-term achievement” by US psychologist and author Angela Duckworth, and how this will be essential for their future achievements.